Butler, J. R. M., ed. 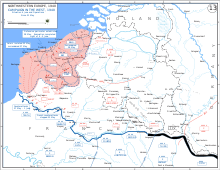 The War in France and Flanders 1939–1940: Official Campaign History. Uckfield, UK: Naval & Military Press Ltd., 2009. ISBN 978-1845740566. Kershaw, Ian. Fateful Choices: Ten Decisions That Changed the World, 1940–1941. London: Penguin Books, 2008. ISBN 978-0141014180. Kilzer, Louis. Hitler's Traitor: Martin Bormann and the Defeat of the Reich. New York: Presidio Press, 2000. ISBN 0-89414-710-9. Liddell Hart, B.H. History of the Second World War. New York: G.P. Putnam, 1970. ISBN 0-30680-912-5. Lord, Walter. The Miracle of Dunkirk. New York: The Viking Press, 1982 / London: Allen Lane, 1983. Citations from the Wordsworth Military Library reprint of 1998. ISBN 185326685-X. Murray, Willamson. Strategy for Defeat: The Luftwaffe 1935-1945. Princeton, New Jersey: University Press of the Pacific, 2002. ISBN 0-898-75797-5. Shirer, William L. The Rise and Fall of the Third Reich: A History of Nazi Germany. New York: Simon & Schuster, 1959. ISBN 0-33070-001-4. Wilmot, Chester. The Struggle for Europe. Old Saybrook, Connecticut: Konecky & Konecky, 1952. ISBN 1-56852-525-7.